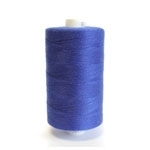 Epic thread is a versatile high quality polyester corespun sewing thread used by leading brands and manufacturers worldwide to make their products better. Coats Epic can be used in many different applications and in a wide range of fabrics from delicate silks to robust denims and high tech performance materials; at all times ensuring excellent stitch formation and good looking seam appearance. Choosing to use Coats Epic will not only enhance the appearance of sewn products but can greatly improve the productivity and performance of a sewing production line. 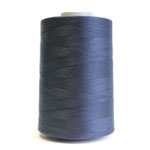 Finished with a specially formulated lubricant it delivers excellent sewing performance at low tension under the most demanding of conditions.